Cowards will hit you when you're in chains. Anger fits you, coursing through your veins. Inflicting violence when you can't fight back. Demanding silence or the charges will stack. Stop resisting, I've got mace! Was sleeping, now on your face. Throwing grenades when you are unarmed and compliant. Snitches, puppets and police can't take down a giant. Most are grimy, with much snake in their blood. The rest, evil flowers beginning to bud. Giving us bad water and rotten food. What the hell put them in such a bad mood? Don't think they can get the cuffs any tighter. Of course they will have to chain up a fighter. Excuse me, I've done nothing wrong, sir. Under his saddle must be a burr. Getting sprayed after being cuffed. Wearing a badge must make them tough. Everyone should apply a little resistance. Make the pigs call "Officer in need of assistance." Like a martye against ten, maybe more or less. Just give as much as you take, simply do your best. 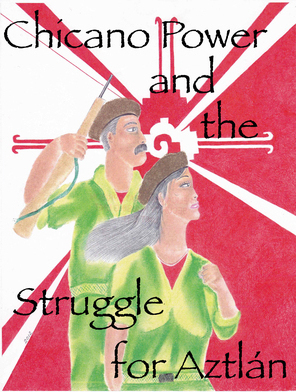 The United Struggle from Within (USW) political line is anti-imperialist, as those behind the walls recognize the penal system and its institutions as an extension of imperialism. Therefore our struggles include both domestic and international issues. As a generated organism from the Maoist Internationalist Ministry of Prisons, or MIM(Prisons), some within USW have taken up MIM line while others have not yet. USW is an eclectic group of anti-imperialist prisoners working in cells, individually or in a coordinated groups through MIM(Prisons) guidance. Our revolutionary activities can vary according to each cell and location. This makes USW a multi-issue mass organization. It is important to have USW comrades focus on campaigns that are relevant to their conditions. For instance, field reporting is universally applicable. But those doing indeterminate SHU sentences should focus on getting policies changed or bring up campaigns to shut down control units, while other comrades on mainlines could organize a cell of like-minded comrades, set up study groups, and raise other campaigns. We can all contribute to fighting censorship and other legal actions that can benefit all prisoners if won in court. 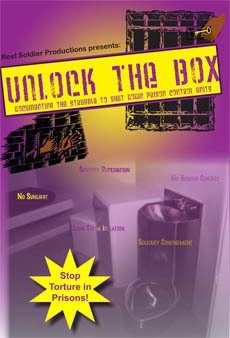 Each USW cell works in the framework of bringing the humyn rights of prisoners to the forefront. It is no surprise prisons are swamped with internal semi-colonies, with the long sentences, new detrimental laws that disproportionately affect oppressed nations, and other practices of the criminal injustice system that contribute to the mass incarceration of oppressed nations. This injustice must be brought to the public. Comrades from USW use propaganda as a tool to reach the masses who are sympathetic or will become sympathetic. We utilize Lenin's method of having Iskra as his party's way to get the written word out to the masses by making use of Under Lock & Key to advertise our campaigns, our polemics, our developing theories, or just to expose the negative conditions in prisons. ULK is our voice behind the walls. USW are we the cadre? USW is guided by MIM(Prisons), leading revolutionary work at their location. Accumulating experience and knowledge while engaged in this work, many USW comrades aren't spontaneous in heading into revolutionary activity, as this would probably prove disastrous if a comrade knows very little of what exactly to do. For this reason MIM(Prisons) has study cells welcoming those ready for revolutionary theory education that is Maoist in content. There are even advanced levels for those who wish to continue into the ULK Writers Group, the most advanced Maoist study cell from which stem numerous USW comrades or cadres. It can be said that any well politicized USW comrade is a cadre behind the walls as we need not receive directives from MIM(Prisons) to know how to organize and commit ourselves to a campaign. Yet revolutionary learning is limitless and anyone wishing to engage in polemics or just learn from other comrades can do so by either writing in to the MIM(Prisons) USW coordinator, joining a study cell run by MIM(Prisons) or reading up on ULK and writing in. The momentum created by USW cells throughout California prisons has brought us our own revolutionary council where pressing topics are discussed, and polemics, strategizing and other matters will be addressed. Through discussion and the democratic process we have passed resolutions to set the standards for USW cells joining the council. Resolutions passed so far include: time frames for when members must respond to council discussions, requirements that each cell vote on each proposal and provide justification for their votes, minimum study requirements before a representative can join the council, and requirements that each USW cell with representation in the council should put in at least 10 to 40 hours a week of revolutionary work. i.e. study, writing articles, making political art, etc. Cells are required to keep track of their work and report it monthly to build discipline. The California Council has also built a treasury that we have been using to fund bonus pages in ULK. Our council has brought forth double the amount of donations than all other California comrades during a recent 6-month period. We recently finished a California-specific introductory letter for USW that went out to all existing members in June. We have had a slow start but overall we have established a steady pattern of discussion and work. Amongst our struggles behind the walls, we will often have obstacles such as comrades abandoning a campaign or legal battle, or who just stop checking in with the council, USW or the ULK Writers group to pursue personal agendas and leave behind their revolutionary work. Our California Council and USW are a product of work and effort by politically conscious prisoners having a strategic goal in mind, be it anti-imperialist, shutting down control units, or prisoner humyn rights reform. The point is that our goals, strategic and tactical, are to struggle through the momentum whether it's low or high! Our focus is to work together for change and we hope our efforts, our resolve, inspires others to join our struggle behind the walls. Our struggle for humyn rights is a pressing issue for the comrades suppressed in solitary confinement, so contributing to litigation campaigns are essential but not our only venue! We need to be organized, we need to agitate and utilize propaganda as a tool in order to apply revolutionary practice! We seek comrades who have a fair grasp on revolutionary theory. No comrade needs to be an expert, we are all still learning from each other, our USW work, and how to concentrate our USW branches through practice within our revolutionary California Council. So I can say USW Council representatives are our cadres behind the walls, forging revolutionary discipline, education, legal assistance, study groups, etc. If comrades get transferred to another yard or prison we can expect them to do the same at their new location. And we do our work discreetly to not draw unwanted attention, thus maintaining all within USW cell security. 1. Selected Works of Mao Tse-Tung Vol III, pg 119. 2. Che Guevara Speaks, "Cadres for a new party."